I'm delighted with on going request to restart Free Readings of Empowerment Cards. There has not been a week, which went without this request over calls, messages or emails. Everyone been missing the potency and accuracy of Readings of EMPOWERMENT Cards. SO... here we begin again. 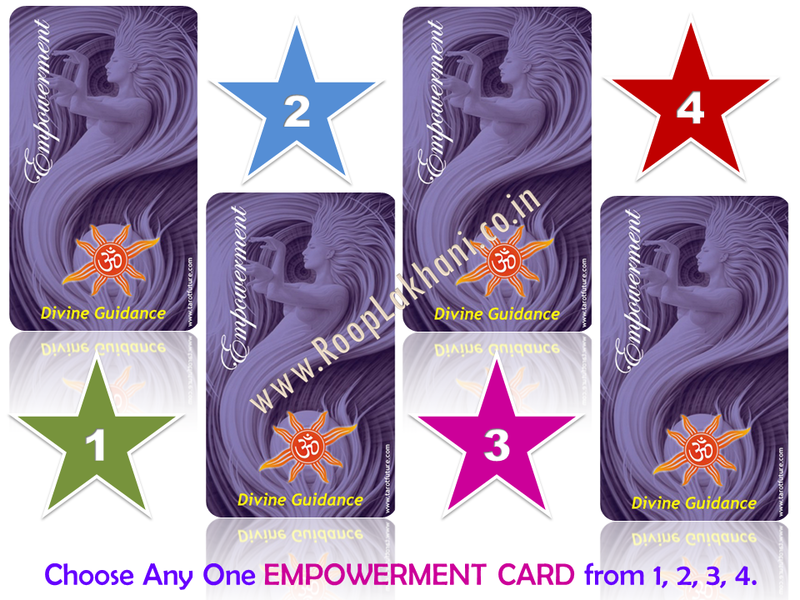 I AM Offering each one of you a FREE reading from "Empowerment set of Divine Guidance Cards" researched and published by me. The Empowerment card consist of 78 free to understand messages and affirmation written on its back side in simple English. Making easy for anyone to pick up the card and do his/her own reading at any time. Please choose any one number and write below the post on my FB page or Group. YOU NEED TO GO TO MY FB PAGE http://on.fb.me/1V5jYET OR TO MY FB GROUP http://tinyurl.com/h546gjq AND WRITE YOUR CHOICE OF "ONLY ONE" NUMBER BELOW THIS POST. Yoy will be happy as well be amazed to read the correlation of the message of the card with your current situation. Often the life's situation brings us at a point where we are low, stressed, depressed or tensed. The affirmations when said repeatedly can uplift your such low energies. The cards can resonate with your soul’s music. It has deep esoteric messages. So friends, make sure you have chosen to uplift your energies. Your energies create vibration and you are at your best towards your highest growth, peace and success in your life when you have higher vibrations. FRIENDS I INVITE YOU TO COME AND JOIN MY INTERACTIVE FB GROUP - TAROT - MYSTICISM - HEALING. Here you will get lot of informations abour events, workshops and educating post related to many Mystic Science.